Find a Southern California Party City store! In "Party City Stores, part 1," we talked about where to find Party City locations in Los Angeles County, California, and about the types of items that Party City stores carry. If you're interested in either of those topics, you may use the following link to check out the Party City Stores, Part 1 page of our site. Anaheim Party City, address at the Anaheim Plaza shopping center is 418 North Euclid St, Anaheim, CA 92801; phone number (714) 491-4800. Directions: from Interstate 5, take the Euclid Street exit north 1/2 block to the shopping center's entrance. Here's a Google map to the Anaheim Plaza Party City location. Brea Party City store, address, 2485 Imperial Hwy, Brea, CA 92821; phone number (714) 990-0119. Directions: from the 57 Freeway, take the Imperial Highway exit and head east to Party City. Here's a Google map to the Brea, California Party City location. Fullerton Party City store, address is 1521 S. Harbor Blvd, Fullerton, CA 92632. Fullerton Party City's telephone number is 714/526-3855. This Orange County Party City location was once a Party America store, former customers may remember. Directions: from the 91 Freeway, take the Harbor Blvd exit and head north to the store. Garden Grove Party City, address is 9661 Chapman Ave, Garden Grove, CA 92841 (formerly a Rite Aid location); phone number is (714) 537-1709. Huntington Beach Party City, address, 16100 Beach Blvd, Huntington Beach, CA 92647; phone number (714) 375-5383. Directions: from Interstate 405, take the Beach Blvd exit and head south to the Party Store. Here's a Google map to the Huntington Beach Party City location. Irvine Party City, address at the Tustin/Irvine Marketplace is 13676 Jamboree, Irvine, CA 92602; phone number (714) 669-0294. Directions: From I-5, take the Jamboree Road exit and head east to the store. To discover other fun at this HUGE shopping center, head to the Tustin/Irvine Marketplace page of this website. La Habra Party City, address, 1601 West Imperial Hwy, La Habra, CA 90631; phone number (562) 697-0086. This location is not far east of the Beach Blvd/Imperial Highway intersection. To plan out your route, you may wish to use this Google map to the La Habra Party City location. Laguna Niguel Party City, address, 27110 Alicia Pkwy, Laguna Niguel, CA 92677; phone number (949) 448-0808. You may wish to study the following Google map to the Laguna Niguel Party City location to help decide which roads you'll take to the store. Mission Viejo Party City, address, 25410 Marguerite Pkwy, Mission Viejo, CA 92691 (at La Paz Rd); phone number (949) 768-3850. You may wish to view the upcoming Google map to the Mission Viejo Party City location to help get you on your way. Mission Viejo Party City location address, 27835 Santa Margarita Pkwy, Mission Viejo, CA 92691; phone number (949) 380-3088. You may wish to view the upcoming Google map to the Mission Viejo Party City location to help get you on your way. Orange Party City, address, 763 South Main St, Orange, CA 92868; phone number (714) 542-7595. This Party City is just across from the Westfield MainPlace Mall. You can see a picture of this Party City store at the top of this page. Here's a Google map to the Orange, California Party City location for your use. If you're interested in discovering the shops you may enjoy at the nearby mall, you may visit the Main Place Mall page of this website. Orange Party City store, address in The Village at Orange mall is 1500 East Village Way, Orange, CA 92865; phone number 714-685-6919. This Orange Co Party City location was once a Party America store, you may remember if you've shopped here in the past. Santa Ana Party City, address, 3357 South Bristol St; Santa Ana, CA 92704; phone number (714) 708-2900. Directions: From I-5, simply take the Bristol Street exit and head north to the store. Here's a Google map to the Santa Ana Party City location if you need a visual reference. You'll have to pass the popular South Coast Plaza Mall in order to reach Party City from the interstate. What a temptation! If you'd like to learn what stores, restaurants and entertainment are available for your enjoyment at this huge shopping destination, visit the South Coast Plaza Mall page of our site. Year-round costume stores are are a great place for out-of-the-ordinary costumes; Orange County has several you'll want to try. Chula Vista Party City, address, 624 Palomar St, Chula Vista, CA 91911; phone number (619) 425-2100. Directions: From I-5 in Chula Vista, take the Palomar Street exit and head east to the shopping center. Here's a Google map to the Chula Vista Party City location for your convenience. El Cajon Party City, address, 160 North 2nd St, El Cajon, CA 92021; phone number (619) 588-2350. Directions: From I-8, take the 2nd Street exit and head south to the store. You may view a Google map to this El Cajon, California Party City location, if you wish. El Cajon Party City, address, 2883 Jamacha Rd, El Cajon, CA 92019; telephone number (619) 670-8403. You may use the following Google map to this Party City store location to plan out your route. Encinitas/Carlsbad Party City, address, 1006 North El Camino Real, Encinitas, CA 92024; phone number (760) 943-9990. Directions: From Interstate 5, take the Leucadia Blvd exit and head east to the Encinitas Town Center, where you'll find the Party City store. This location is just across from the Forum at Carlsbad shopping center. National City Party City, address, 3410 Highland Ave; National City, CA 91950; phone number (619) 476-7000. From the Rt 54 Freeway, take the Highland Ave/4th Ave exit and head north to the store. Here's a Google map to National City, California's Party City location for a guide. Oceanside Party City, address, 2130 Vista Way; Oceanside, CA 92054; phone number (760) 433-5855. Directions: from the Rt 78 freeway, take the Jefferson St exit and head north to Vista Way. Here's a Google map to the Oceanside Party City location to help you on your way. San Diego/Carmel Mountain Party City, address, 11465 Carmel Mountain Rd, San Diego, CA 92128; phone number (858) 451-3900. Directions: take the Carmel Mountain Road exit from I-15 and head east to the store. You may follow this Google map to the Carmel Mountain Party City location. San Diego/Claremont Party City, address, 4283 Genesee Ave, San Diego, CA 92117; phone number (858) 268-4200. Directions: From I-805, take the Balboa Ave exit and head west to the shopping center. You may understand the layout of this area better if you look at this Google map to the San Diego/Clairemont Party City location. San Diego/Mission Valley Party City, address, 8330 Rio San Diego Dr; Mission Valley, CA 92108; phone number (619) 295-4200. Directions: This Party City will be easy to add to your shopping list, because it's in a shopping center just north of the Mission Valley Mall...and not far east of the Fashion Valley Mall. Here's a Google map to the Mission Valley Party City location so you may plan your route depending on where you're coming from. San Diego/Point Loma Party City, address, 3315 Rosecrans St, Point Loma, CA 92110; phone number (619) 523-9200. Here's a Google map to the Rosecrans Street Party City location so that you may plan your route. San Marcos Party City location, address in San Marcos Grand Plaza is 157 South Las Posas Road San Marcos, CA 92078; phone number is (760) 736-8252. Santee Party City, address, 9850 Mission Gorge Rd, Santee, CA 92071; phone number (619) 448-2660. You may use the following Google map to the Santee Party City location, if you wish. Year-round costume stores are are a great place for high-quality costume-hunting. San Diego has some you may want to try. Chino Party City, address at the Chino Spectrum Towne Center is 4037 Grand Ave, Chino, CA 91710; telephone number (909) 364-0093. Directions: from the Rt 71 Freeway, take the Grand Avenue exit and head east into the Towne Center shopping plaza. You may use the following Google map to the Chino Spectrum Party City location, if you wish to see a map of the area. Chino Party City, address at the Chino Town Square shopping center is 5549 Philadelphia St, Chino, CA 91710; phone number (909) 590-0670. Directions: from the 60 Freeway, take the Central Ave exit and head north to Philadelphia Street. You may view this Google map to the Chino Town Square Party City location if you want to double-check where you'll be heading. Corona Party City store, address is 2415 Tuscany, Corona, CA 92881. Directions: take the Cajalco Rd exit off of I-10; in the Crossings at Corona shopping center. This Party City is a former Party America store, former customers may remember. The Corona Crossings Party City phone number is 951/279-8456. Fontana Party City, address at the Falcon Ridge Town Center 15242 Summit Ave, Fontana, CA 92336; phone number (909) 899-2233. Directions: this north Fontana location can easily be reached by taking the Beech Ave exit off of I-15; then, head east to Summit Avenue. You'll find Party City in the same shopping center as Target. Here's a Google map to the Fontana Party City location to give you a better mental picture of this area. Mira Loma Party City store, address is 12339 Limonite Ave, Mira Loma, CA 91752. The Mira Loma Party City location's phone number is 951/360-0493. Directions: from I-15, take the Limonite Ave exit and head west to the store. Ontario Party City store, address is 4440 Ontario Mills Pkway, Ontario, CA 91764; phone number 909-484-8518. Redlands Party City location, address is 27588 Lugonia Ave, Redlands, California 92374; store phone number is 909-798-7272. Former customers may remember that this Party City location was once a Party America store. Rancho Cucamonga Party City, address at the Terra Vista Town Center is 10690 Foothill Blvd, Rancho Cucamonga, CA 91730; phone number (909) 476-3966. Directions: From I-10, take the Haven Avenue exit and head north to the shopping center; or, from Interstate 15, take the Foothill Blvd exit and head west. Here's a Google map to the Rancho Cucamonga Party City location, if you wish to view this area in advance of your visit. Riverside/Moreno Valley Party City store, address is 2550 Canyon Springs Pkwy, Riverside, CA 92507; phone number is 951/656-6555. Directions: from the 60 Freeway, take the Day St exit and head south to Canyon Springs Parkway. Temecula Party City, address, 40486 Winchester Rd, Temecula, CA 92591; phone number (951) 719-1400. Directions: from I-15, take the Winchester Road exit and head east to the Party City store. Here's a Google map to the Temecula Party City location if you'd like to take a peek. You'll be right by the Temecula Promenade mall while visiting this Party City. If you'd like to double-check the list of stores you might enjoy there, please visit the Promenade in Temecula Mall page of this website. Victorville Party City store, address is 12410 Amargosa Rd, Victorville, CA 92392. The Victorville Party City phone number is 760/241-0550. Directions: This location is near the Mall of Victor Valley. From I-15, take the Bear Valley Rd exit heading west, them make a quick turn towards the Victorville Mall on Amargosa (heading northwards.) Pass by the mall and go to the nearby shopping center. 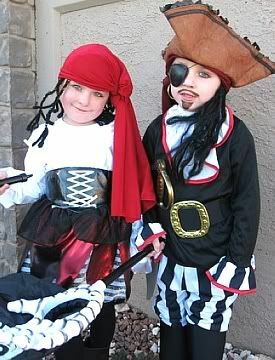 Year-round costume stores are are a great place for out-of-the-ordinary costumes; there are several you may want to try. Oxnard Party City location, address at the Oxnard Esplanade is 195 Esplanade Drive, Oxnard, CA 93030; phone number for this Ventura County Party City store is 805-604-7477. This location was formerly a Party America store, you may remember if you're a former customer. Simi Valley Party City location address, near the Walmart SuperCenter, is 415 Cochran St, Simi Valley, CA 93065; telephone number is 805-522-2494. This Party City store is a former Party America location. Thousand Oaks/Newbury Park Party City, address, 2715 Teller Rd, Thousand Oaks, CA 91320; phone number (805) 498-5888. Directions: from US 101, take the Camino Dos Rios/Wendy Drive exit, then head north to the Teller Rd Party City (by the Target store.) Here's a Google map to the Thousand Oaks Party City location. El Centro Party City, address is 3009 S Dogwood St, El Centro, CA 92243. Directions: From I-10, take the Dogwood exit and head south to the store. The El Centro Party City's phone number is 760/353-6520. If you're considering using one of the Party City stores as the source for your Halloween costumes or party supplies, you should spend some time browsing through the www.PartyCity.com website. On the store's official website, you'll be able to see photos of the complete range of Halloween costumes this chain of stores carries. (However, you may not be able to find every costume at every Party City store.) Also remember that any particular location might be sold out of the costume or party supplies that you want at the time you go shopping.